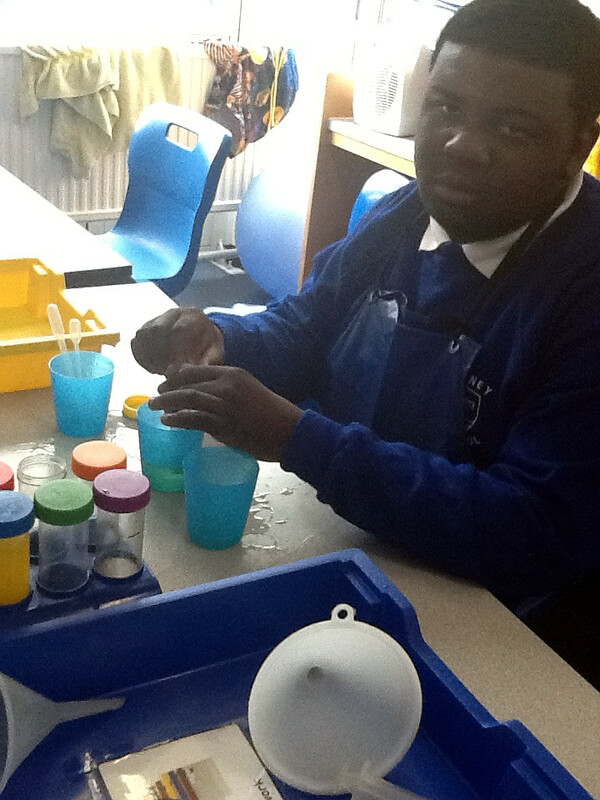 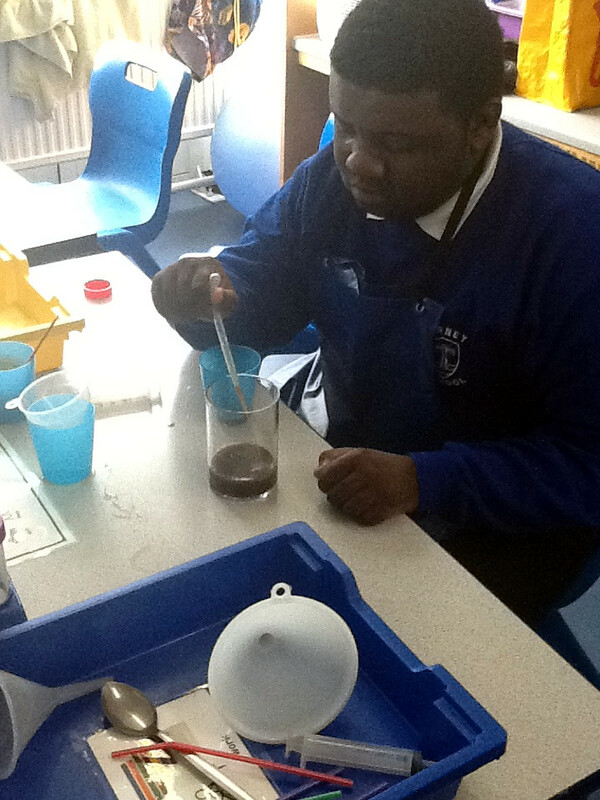 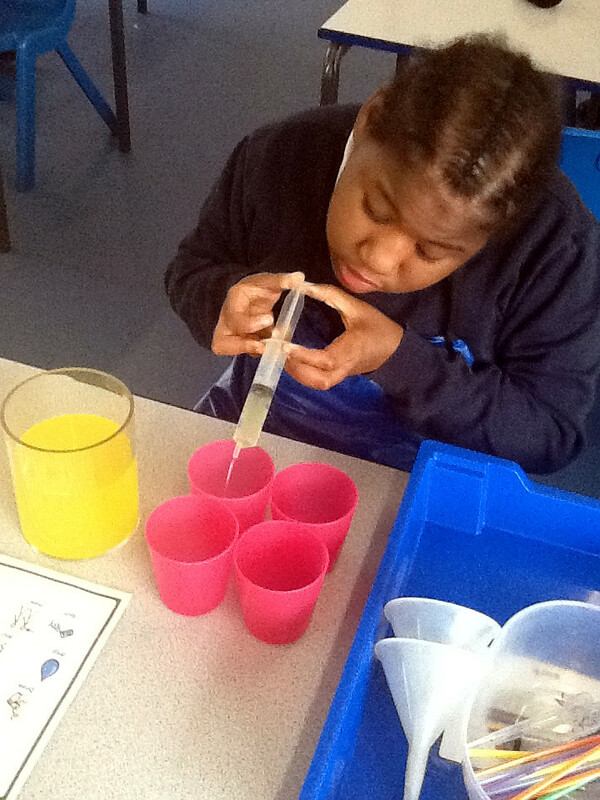 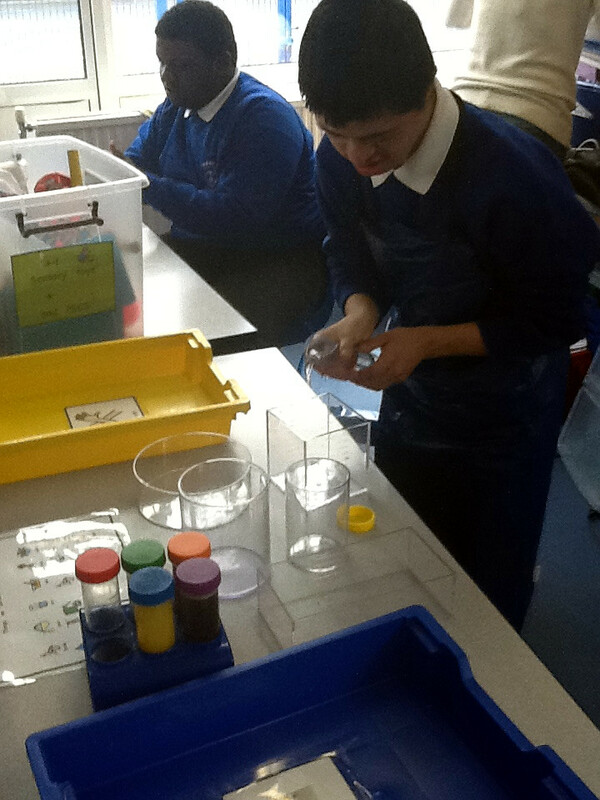 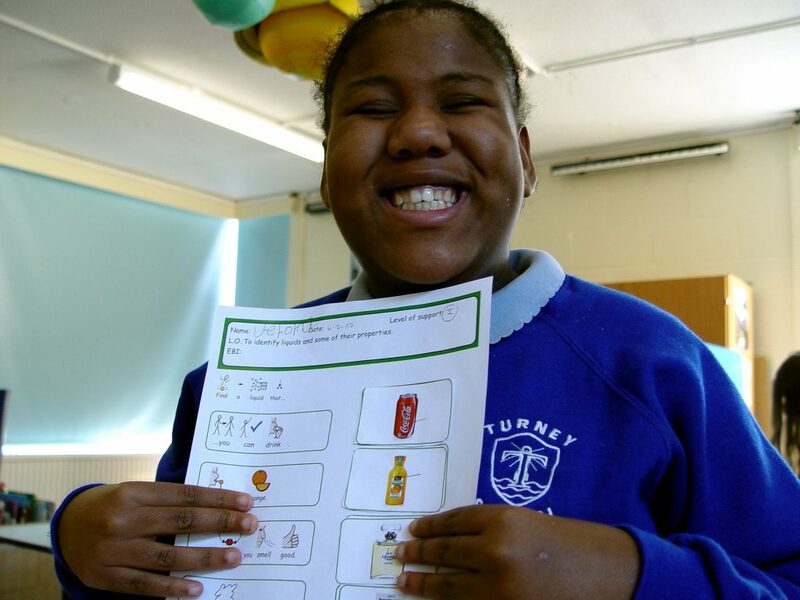 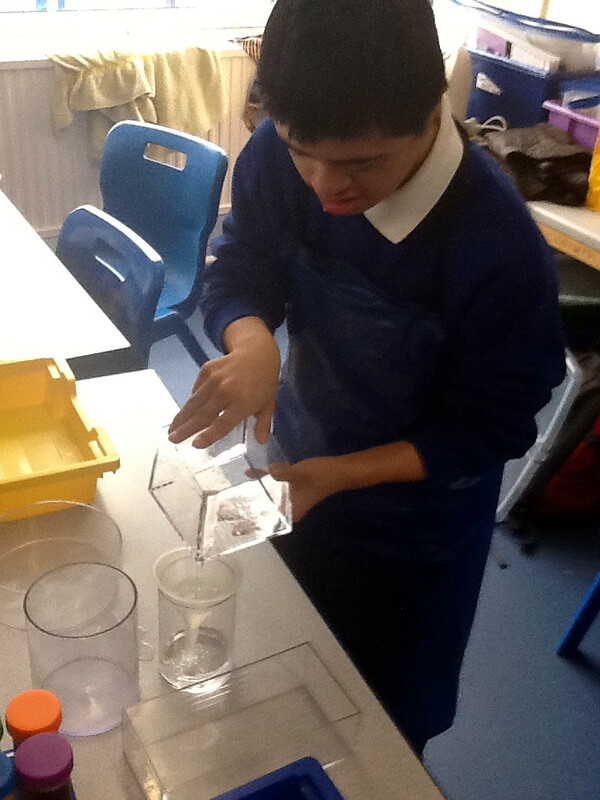 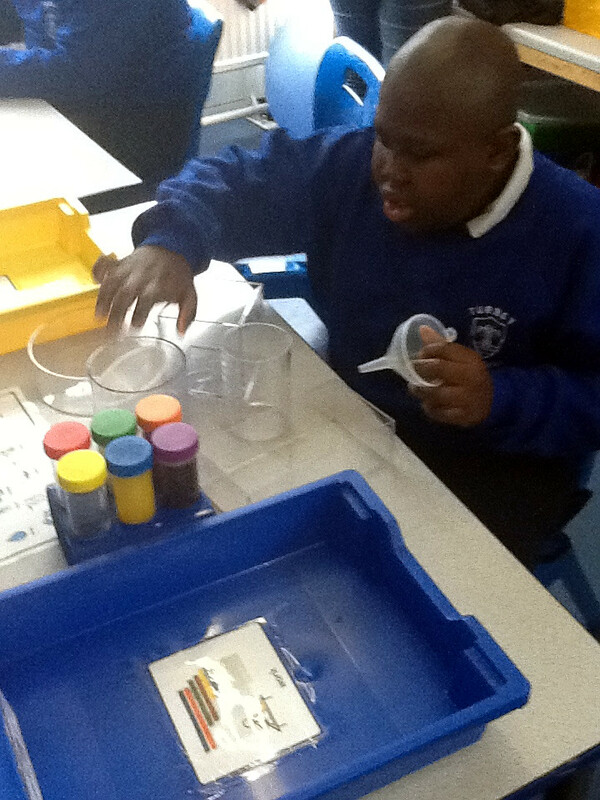 Science work in Class 10EG has progressed from learning about solids to an examination of liquids. 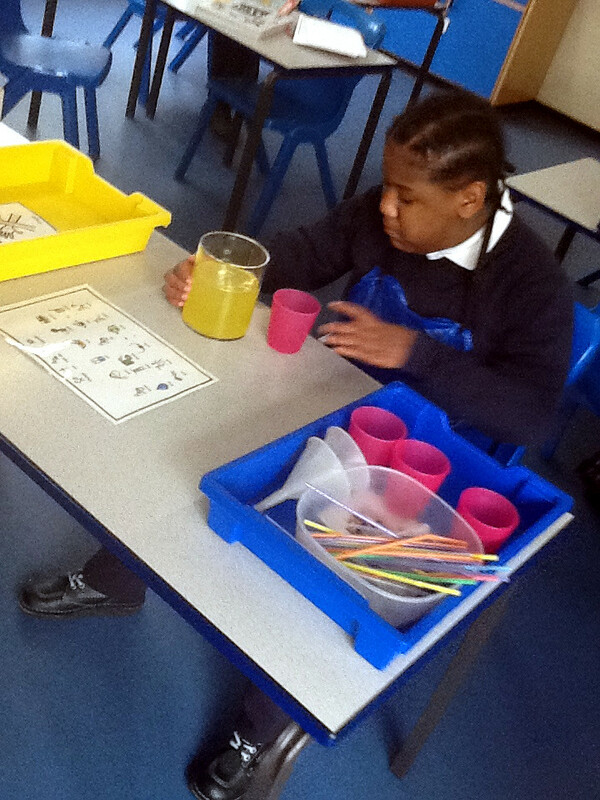 The main theme here has been to be able to identify some of the properties for liquids. 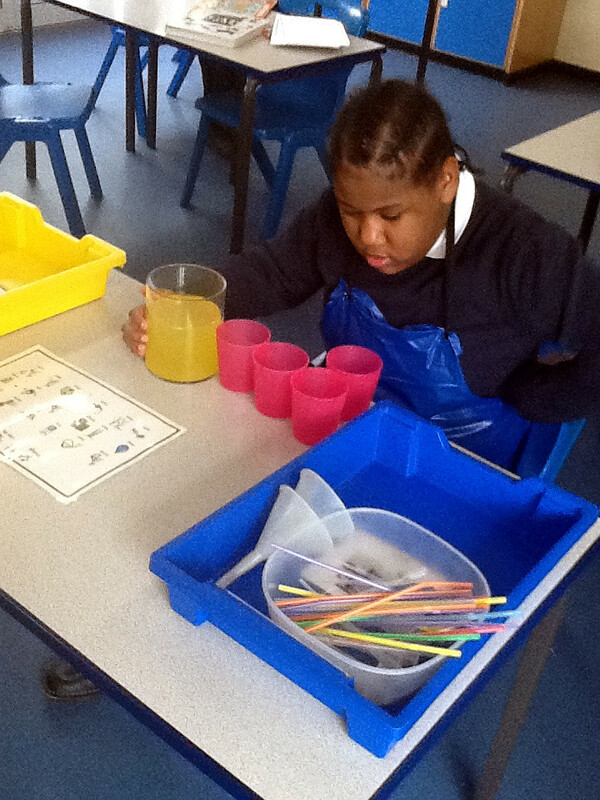 We have seen how some liquids can be drunk, and that all liquids can be poured and can contain their shape. 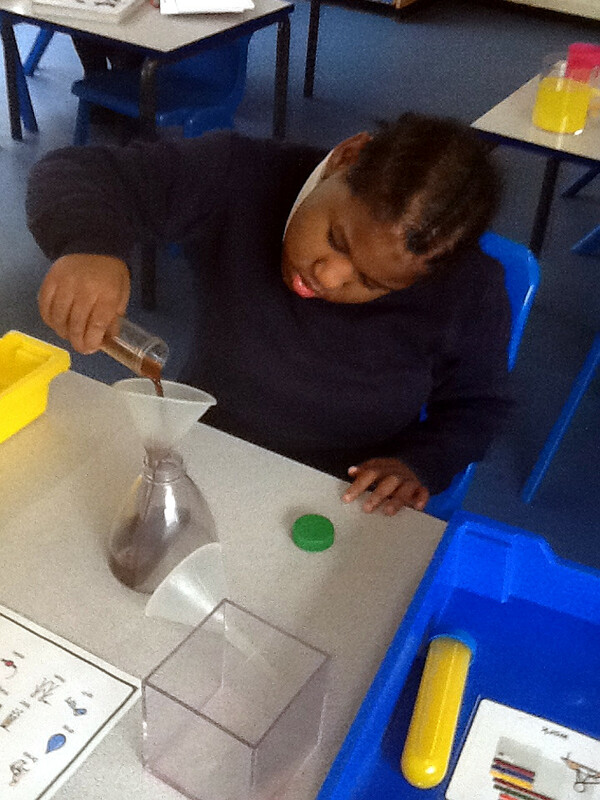 The practical part of this learning involved a hands on exercise with liquids. 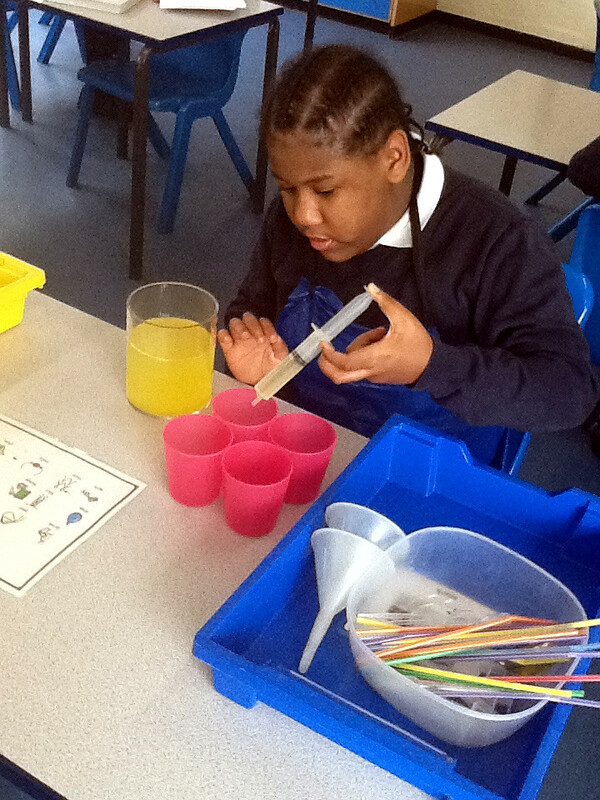 The students were encouraged to experiment and learn as much as possible. 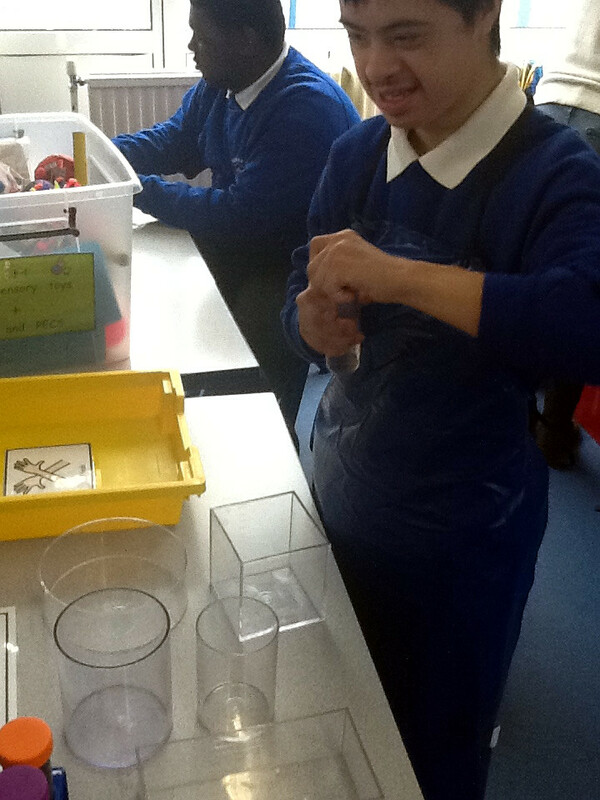 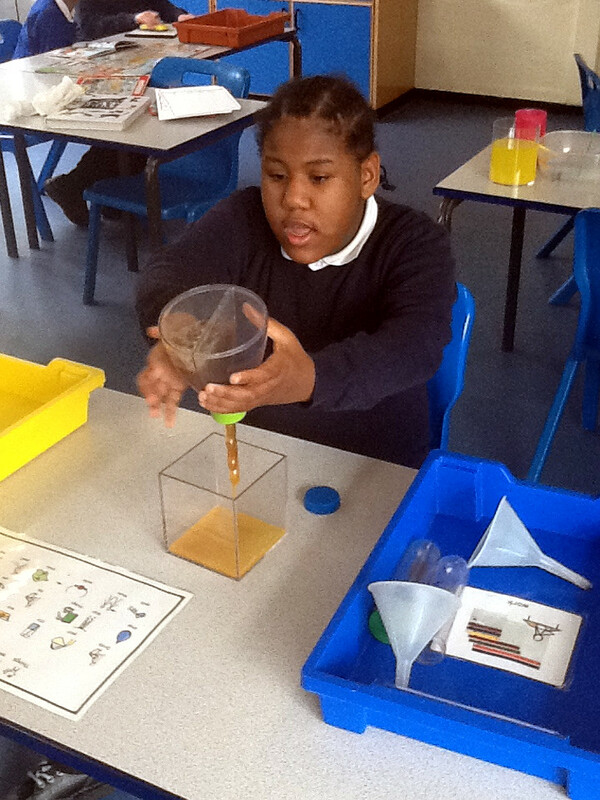 One activity saw the pupils investigate how they can manipulate a liquid. 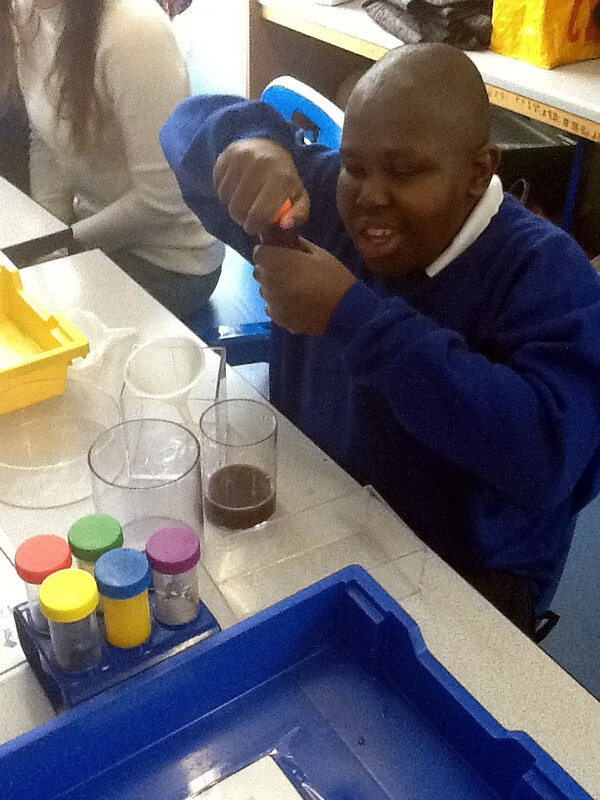 Containers were used to see if we could transport one liquid from a vessel into another. 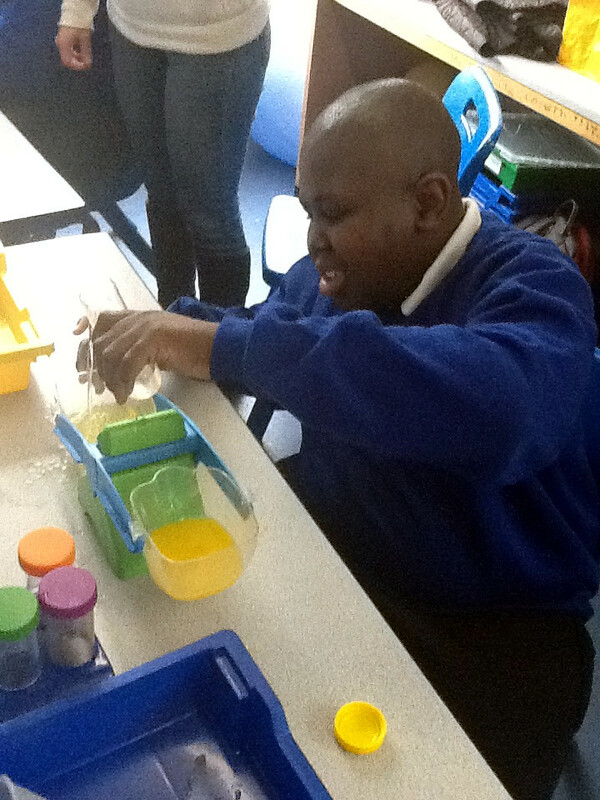 This work also asked if it was possible to separate different coloured liquids. 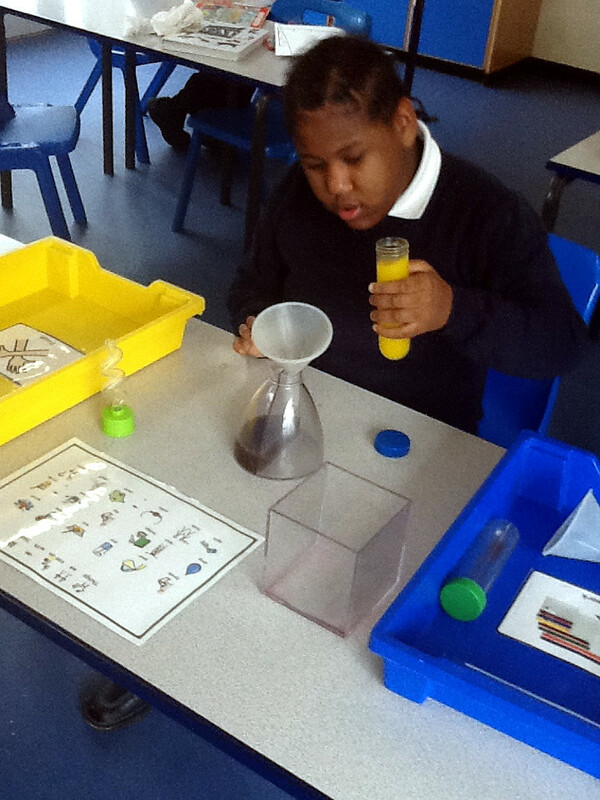 Volume and shape were also part of this investigation. 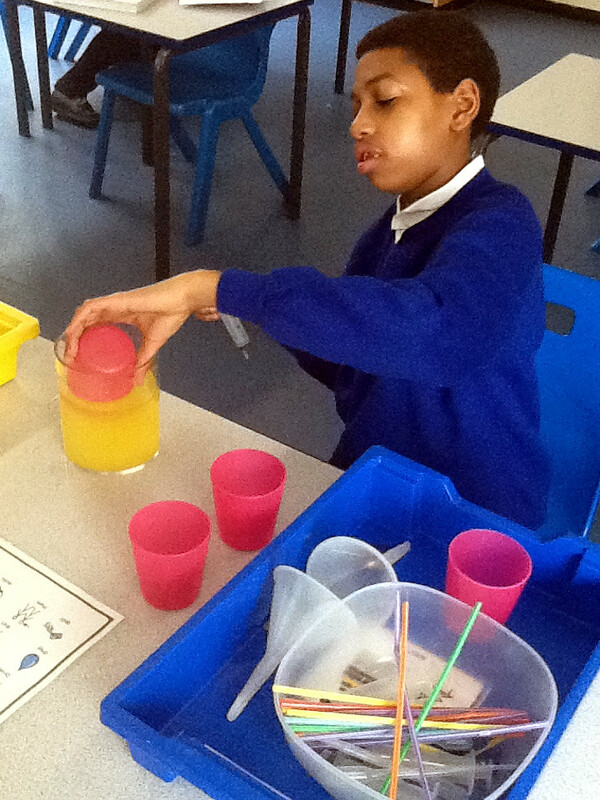 Liquids were transferred between containers of varying sizes. 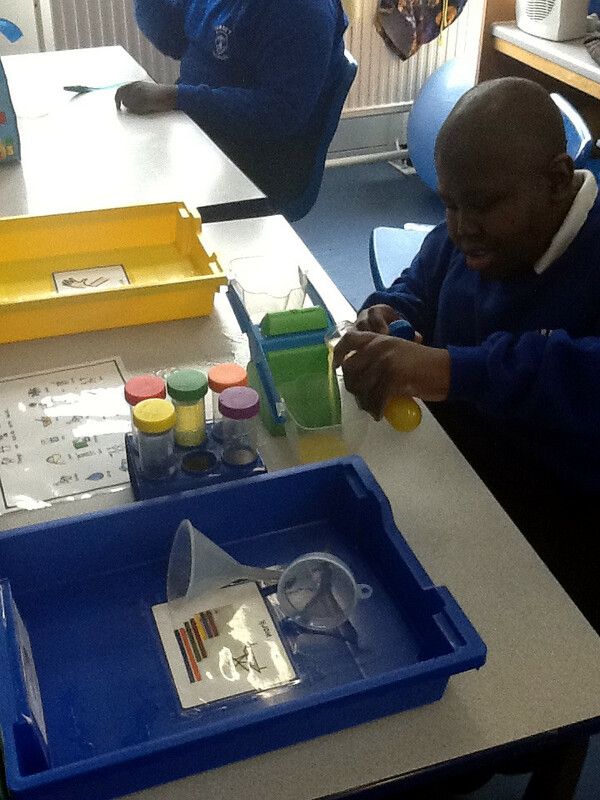 Class 10EG were asked to comment on the change of space in each container. 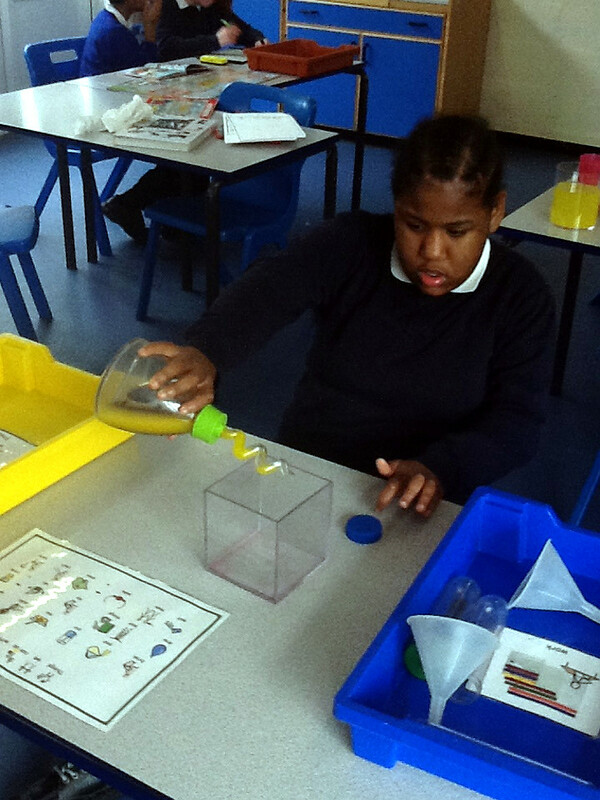 A final Class 10EG science investigation considered the weight of liquids. 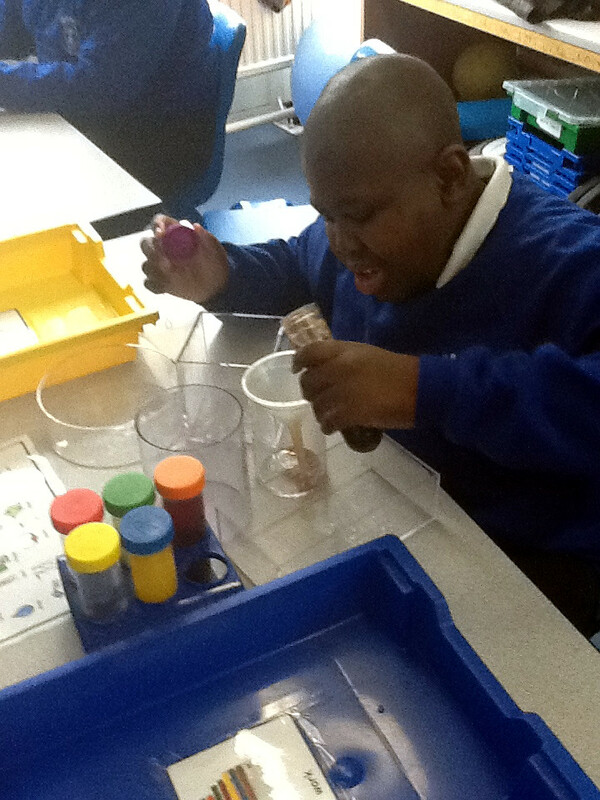 This was compared to the weight of solids.